I've been hearing about the Southern Living Showcase Home on our local daytime talk show for a while now, and have been obsessing wanting to go! 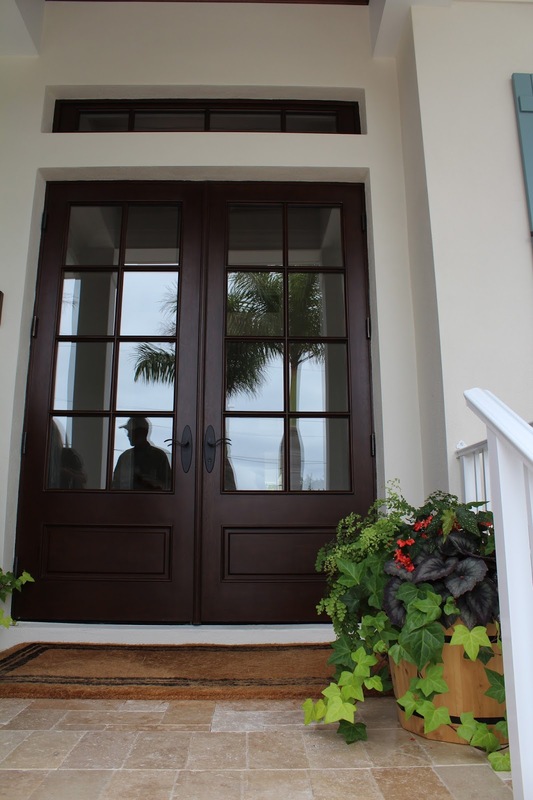 Last weekend my husband Mike (who also loves to tour these houses for the architecture side of them) and I made our way down to the quiet little South Tampa neighborhood of Beach Park that is home to the 2014 Southern Living Showcase Home built by Javic Homes. 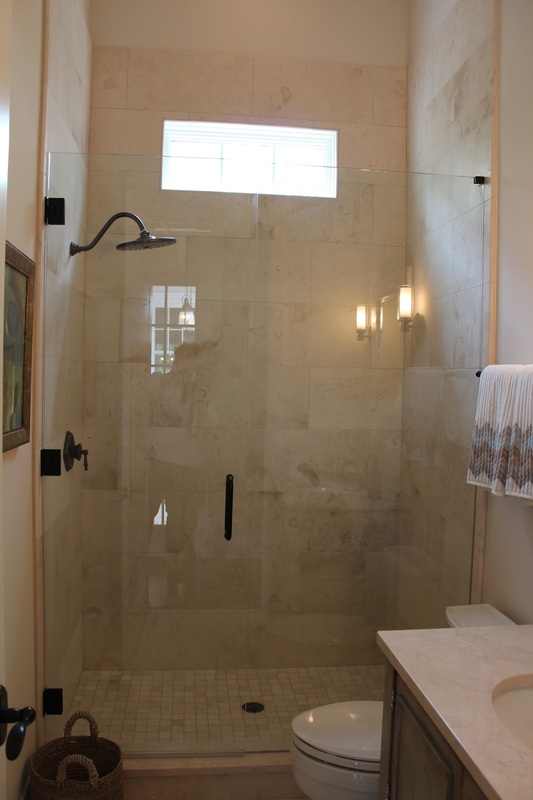 Our goal at Javic Homes is to create one-of-a-kind homes through innovative design, comfort and efficiency. 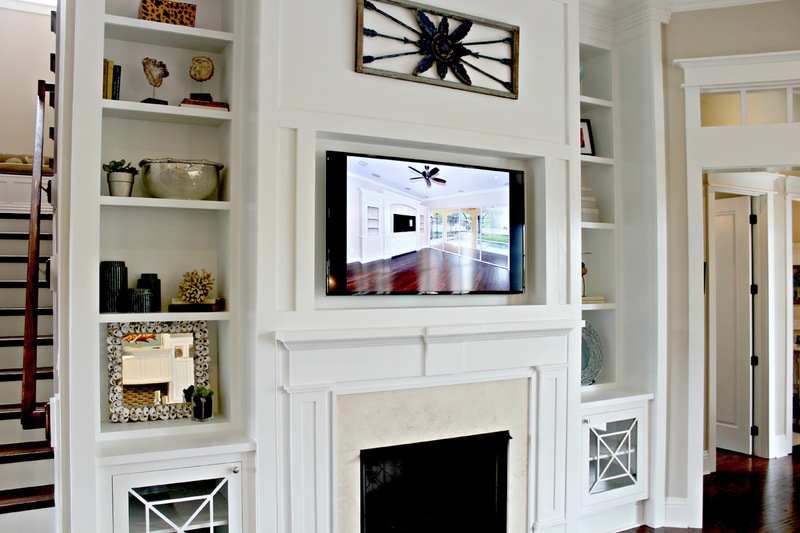 We are the only Tampa Bay member of the exclusive Southern Living Custom Builder Program. 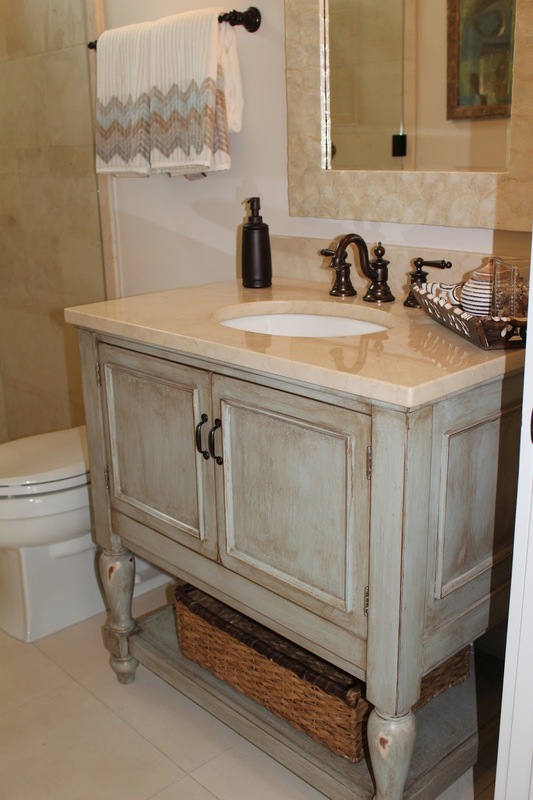 This program carefully selects members based on their exceptional reputation; strong market presence; quality craftsmanship; and innovative design. 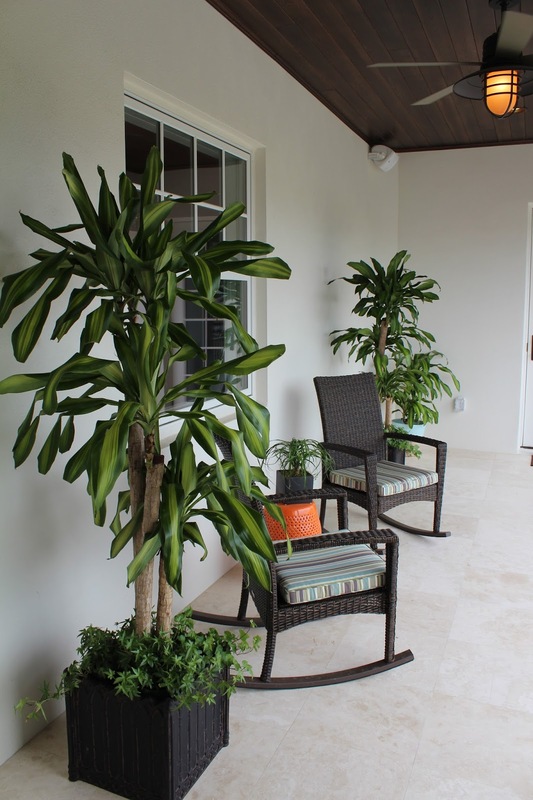 Javic Homes designed the 2014 Southern Living Custom Showcase Home in a traditional West Indies style. 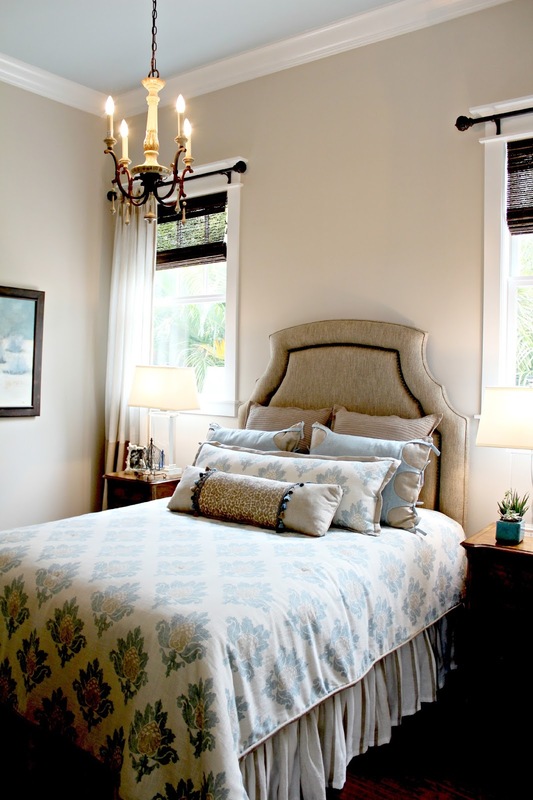 The home is inspired by colonial British West Indies style both on the exterior and interior. I have to say, It was love at first sight! The front exterior of the home has a beautiful front porch! I can just imagine lingering there with a glass of sweet tea watching people drive by and saying to myself, "That's right I live here!" Hey, I can dream right? The pop of color in the shutters and garage doors painted Sherwin Williams Moody Blue (SW6221) gives the home that extra WOW factor! Along with the entry door that's stained a beautiful warm, deep wood tone that's used in accents throughout the home. 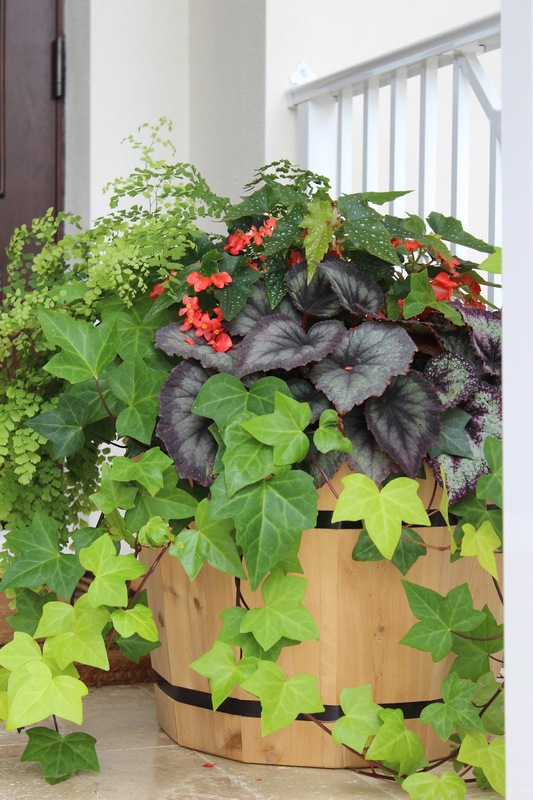 Love this planter that was placed right outside the front door. When you enter the home the den is to the left of the foyer and is accented with a soothing blue wall color and bronze accents. Rich Hickory wood floors are throughout the first floor. The dining room is dramatic with it's dark, warm toned plank ceiling and striking chandelier! The door on the top left is a wine storage area! How cool is that? 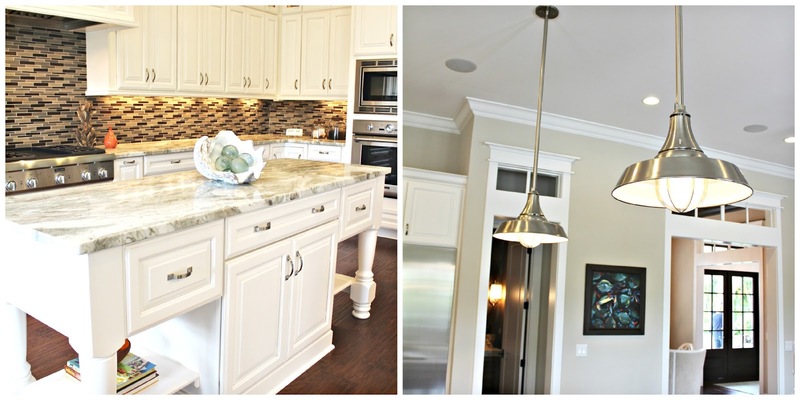 The kitchen includes two islands-one for preparation and one that guests can gather around and watch you create a beautifully prepared meal or open take out bags, whichever is your preference. 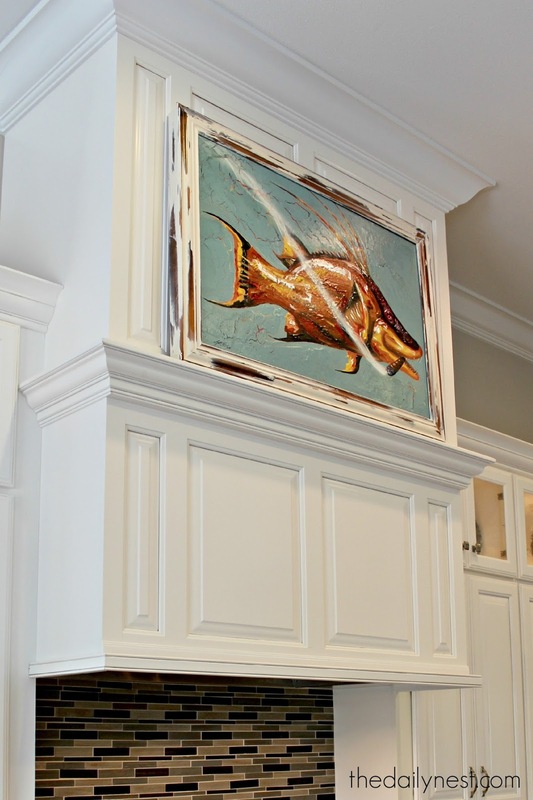 This piece of art is of a fish smoking a cigar, and it had my husband talking about it for…well he's still talking about it! We both loved it above the range! This is a guest room and bathroom on the first floor, that I thought at first was the Master. It's that lovely! Now upstairs to the Master suite…Utopia!! An oasis of color and texture. Painted Sherwin Williams Worldly Gray (SW7043) plays off of Magnolia Inspiring Interiors palette of light linens, warm, blues, and pops of purple. The controls for the shower, would make showering a dream! The nursery is stimulating to say the least! I love the pops of bright pinks and blues! Bead-board and plantation shutters in Sherwin Williams Pure White (SW7005) add architectural interest to the room. The adorable wallpaper with whimsical animals above the hot pink crib would make any baby happy! The little pink pig art work is just precious! Maybe work on a little art and have some snacks! 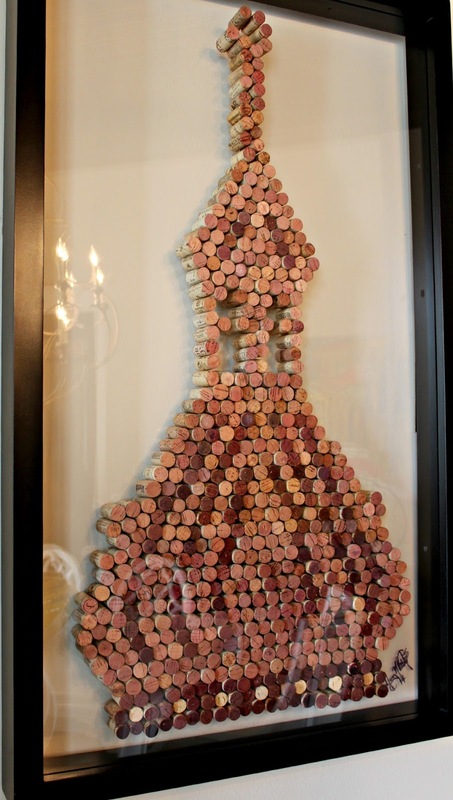 The floor used in this room is cork made from recycled cork stoppers! Now if my husband is reading this…I WOULD fold clothes if I had this laundry room! The best is saved for last in my opinion! This is why we live in Florida! The rear exterior of the home is nearly 1,000 square feet of outdoor living space featuring an outdoor kitchen, an additional covered balcony on the second story, and a pool/spa! Indoor/Outdoor Living on Tampa Bay! 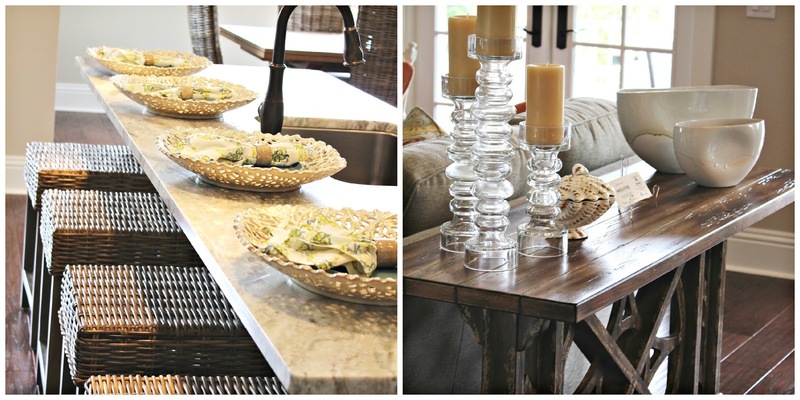 I hope you enjoyed my tour of the 2014 Southern Living Showcase Home as much as I did!